Jason Rohrer transposes life’s dilemmas into video games. His work is on view in “The Game Worlds of Jason Rohrer” at the Davis Museum at Wellesley College. One player goes to see an exhibition and writes about it in something called a newspaper (ask your parents; it’s all quite deliberately nostalgic). The newspaper is delivered manually or posted online. Other players read it. They navigate various obstacles: pretentious jargon, confused criteria, fence-sitting. When they reach the end they will: a) resolve to see the exhibition; b) have a new thought in their heads and something to talk to their friends about; c) decide the reviewer is full of it. None of these are mutually exclusive. I know. It sounds frustrating. What counts as winning? What if you don’t reach the end? Can you get better by playing it again? Can you power-up? What, finally, is the point? For now, forget all that. Let’s just play. 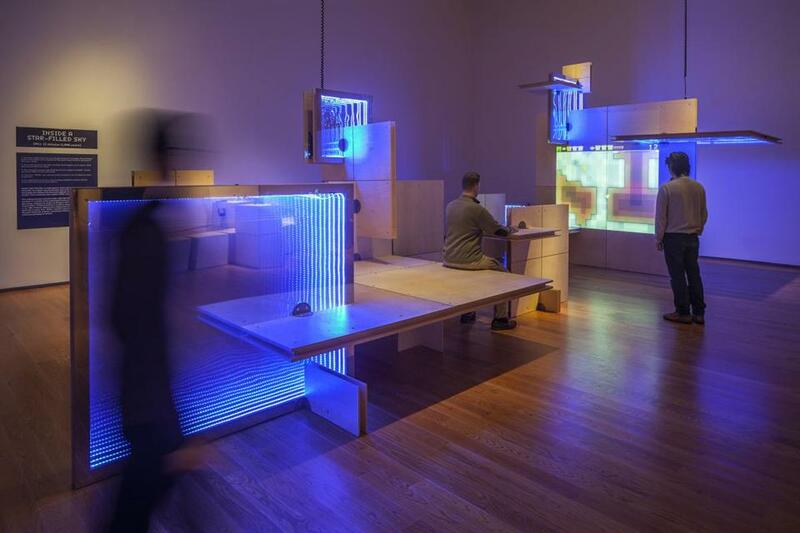 Rohrer’s games are artsy; his popular 2007 game “Passage” is featured in the permanent collection at the Museum of Modern Art in New York. 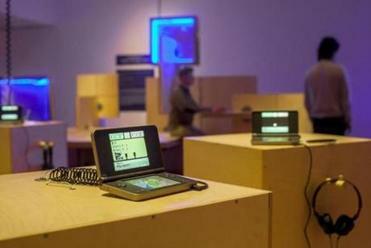 “The Game Worlds of Jason Rohrer,” a fascinating exhibition of video games at the Davis Museum at Wellesley College, demands I make these rules explicit, if only as a courtesy, because it is obliged to do the same itself. Never before, in my experience, has art come with so many instructions. The show is billed as “the first museum retrospective dedicated to the work of a single video game maker.” As such, it’s welcome — and some would say overdue. But it is really just the latest in a series of recent developments — group shows, published tomes, lots of Internet chatter — that have pushed video games into the crowded party tent of contemporary art. Can video games fruitfully be seen as art? Of course. Why not? They’re visually absorbing, they make curious demands on your mind, they can affect your heart. If you doubt it, download “Passage,” a five-minute game Rohrer released in 2007. Presented in a blockish, fat-pixel style, “Passage” doubles as a metaphor for life. With less of the wincing humor, it nonetheless has something of the exquisite pathos of Chris Ware’s everyman “Jimmy Corrigan” comics about it. You are the little guy at left. Using arrows, you navigate a narrow horizontal strip of brightly colored rectangles. You travel to the right, accumulating points. Scattered amid obstacles are treasure chests. Travel over them and your points tally goes up (although some chests — a classic touch — are empty). If you steer down to avoid obstacles, your path gets harder. If you stay up, the obstacles thin out, but so do the treasures. Near the beginning, you encounter a female partner. If you bump into her, love briefly blossoms, and you proceed through the rest of the game together. Nice. Unfortunately, being tethered to another person makes it harder to squeeze through the obstacles. Whatever. There are compensations. Your points accumulate at twice the rate. Four games have been highlighted in the main gallery. Others can be played at computers in an adjacent gallery, where you will see working notes, diagrams, and other ephemera. As you travel, you age. You go bald. You begin to stoop. It becomes harder to progress. Near the end of the five minutes, your partner dies. Shortly afterward, regardless of your tally, you die too. Game over. “Passage” is the game that made Rohrer, 38, famous. It’s easy to see why. It’s not that the life metaphor it presents is terribly sophisticated. On the contrary, it’s pretty dumb (and transparently a male invention). But, folks, it’s a game. Its genius is in the elegance of its interactive mechanics, and in the originality, the unexpectedness of the conceit. Rohrer is not just a gamer: He’s a searcher. He lives with his wife and three sons in Davis, Calif., a town near Sacramento where they moved after a spell in New Mexico and many years practicing “simple living” in upstate New York. I saw him speak before an audience at Wellesley last week. He has an affable, self-effacing manner and a disarming grin — square-jawed, ironic, shades of Heath Ledger — but, behind his eyes, three brains all whirring at once. Those eyes seemed mellowed by family life, yet wide and watery with the strange earnestness, the anxiety, the naivete of the philosopher. A lover of metaphors and meanings, he is always looking for ways to transpose life’s dilemmas and bewilderments into more crystalline, communicable forms. Into games. Wisely, after a period that saw him determined to disprove a critic’s insistence that video games could not be art, he now seems beyond caring about how people choose to define what he does. For him, as for any creator, the only interesting question is whether or not it is any good. What makes this question complicated is that his criteria for “good” are mechanical as well as aesthetic and conceptual. His games need to work, as games, before they can begin to be successful as art. And that makes for a high degree of difficulty. Rohrer has made 18 games over the past decade. He released his first, “Transcend,” in 2005. It’s a familiar genre — a shooting game — but its design (including the music; Rohrer composes the music for all his games) is strikingly beautiful. In “Transcend,” the player’s avatar — a gorgeously colored geometrical glyph — cannot be killed. The threat of extinction upon which most video games rely was less interesting for Rohrer than the game’s aesthetics, and its strategic component. As Rohrer’s own interest in the history not just of video games but games in general has deepened, his subsequent creations have grown more sophisticated. 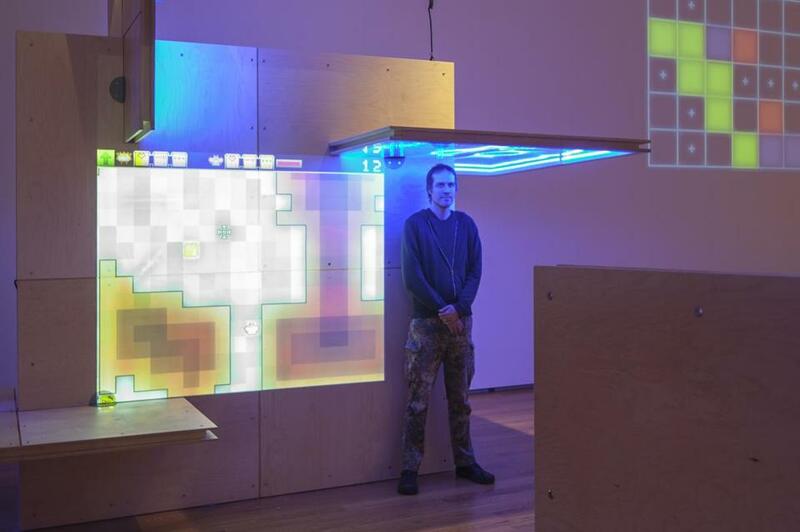 Wellesley College’s Davis Museum of Art is hosting an exhibition of video games designed by Jason Rohrer. They provide players with ways to think through intimate feelings (such as remorse, anxiety, or the male protective impulse), philosophical conundrums (would immortality be desirable? ), and financial and ethical decision-making (relating to the buying and selling of diamonds in conflict zones, for instance). But in the process of investigating all this, he avoids didacticism, always striving for clarity and honesty. In the end, though, I’m the kind of person who needs time, space, and patient demonstration to grasp the rules of new games. Most people are better equipped. So they probably won’t find the experience of picking up the knack of Rohrer’s natty games as challenging as I did. Other Rohrer games can be played at a bank of computers in an adjacent gallery, where you will also see working notes, diagrams, and other ephemera. You will also learn about Rohrer’s more radical conceits, some of which seem closer in spirit to conceptual art than anything relating to games. “A Game for Someone,” for instance, consists of an actual game — a set of rules with pictographic instructions and titanium pieces — which Rohrer buried somewhere in the Nevada desert. At the announcement of the game’s release, he handed out envelopes with a million GPS coordinates, one of which identifies the burial site. Rohrer created “A Game for Someone” for the Game Design Challenge at the 2013 Game Developers Conference, in response to a theme, “Humanity’s Last Game.” The conflict it dramatizes is the one between collective and individual effort. With collective cooperation, Rohrer insists, the buried game could be uncovered quickly. Without it, it is likely to remain hidden, and possibly forgotten, for a very, very long time. Are there limits to what video games can suggest about the human condition? I have no idea. But to say that, in human terms, Rohrer’s games are more sophisticated than the general run of video games is not to say that they have anything like the moral or aesthetic complexity of, say, a great novel. Novels and paintings, too, of course, are games — games of make-believe, of “as if.” Imagine you were a female adulterer in 19th-century Russia (“Anna Karenina”). Imagine this woman in a kimono were an actual person (Monet’s “La Japonaise”). You could say novels and paintings are less interactive than video games. But only by insisting on a very crude and literal interpretation of interactivity would you be right. There’s a sense, when you play Rohrer’s games, that in exploring their various concocted predicaments, you must submit to a certain infantilization. That’s OK. I feel something similar in front of a lot of conceptual art, where you can see the moves coming a mile off. It doesn’t mean you won’t be in for an interesting ride. We’re all so tediously mature, so wised-up, so savvy. Can’t we just play?